5 Star Rubbish Clearance - Garden Services, Rubbish/Waste/Clearance based in Walton-on-Thames, Surrey. 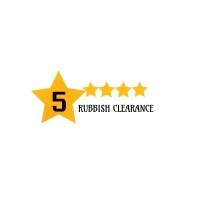 London’s most environmentally friendly waste clearance company, 5 Star Waste is a family run business that provides a reliable range of waste clearance services for both homes and businesses. Our business is about concern for our customers, our employees and the environment. We have a wide range of waste removal vehicles with a dedicated two-man team enabling us to carry out any type of waste removal. Our network covers the commercial, domestic and construction industries. Passion – For what we do and who we are. Quality – If we do something we do it properly. Our values shape our attitudes and dictate how we behave. To change an old-fashioned and unattractive market place into a proactive, professional and cleaner one that has customer service and the environment at the forefront of its values. As the UK waste sector goes through a period of transition, mainly due to the legislative changes, there is a massive need for the companies within the industry to think creatively, to be adaptive, flexible, to be able to communicate and work as a team. As a company we are constantly seeking fresh information to enable us to create new opportunities and to maintain that competitive edge. We commit to learning and developing ourselves so we can develop the industry. Our focus on our social and environmental responsibilities means we operate the company in a way that recognises the central role businesses play in society to make a better and more sustainable quality of life. Our focus on the quality of our service means we provide the best service the market has to offer, we want to be at the forefront of best practice as a waste carrier and handler. Our focus on our economic situation means we operate the company on the basis of profitable growth. We aim to increase value for our partners and to provide opportunities for our employees to grow and develop.